Pocket WiFi - Get Online Worldwide, for Much Less! Pocket WiFi enables you to set up a private internet connection anywhere in the world for at least 10 devices. All our pocket WiFi devices are unlocked so you can use any SIM card inside, this way you can always get the lowest rates wherever you are. See all Pocket Wifi Devices. The 3G Huawei E5330 Pocket WiFi enables you to connect up to 10 devices to a secure internet connection at the click of a button. Small device fits in your pocket and will work anywhere in the world. The pocket WiFi is unlocked so you can use any SIM card inside so you can get the lowest possible rates wherever you travel to. The free worldwide data SIM included with the Huawei E5330 Pocket WiFi will give you low cost rata rates in 188 countries. Huawei E5330 Pocket WiFi very simple to use, just insert a SIM card and switch it on. It takes just 5 seconds to start up and it has a battery life of 6 hours with 300 hours standby. Plug into your device via USB to recharge. 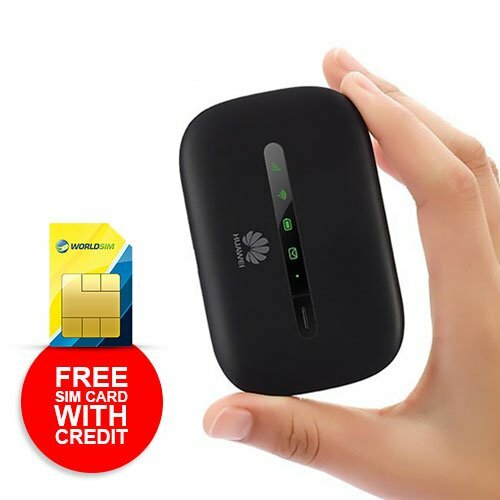 The Data roaming SIM card which is included with the Huawei E5330 Pocket WiFi is comes with free credit so you can start using it immediately. You can opt to add extra credit - the more credit you add the better value for money it becomes. Credit will expire only if the SIM isn’t used for a year. Keep your portable hotspot charged with the micro USB cable included. You can charge it using your phone plug or from your laptop. The Huawei E5330 Pocket WiFi and the Data SIM card included will give you reliable connectivity using speed 3G networks. 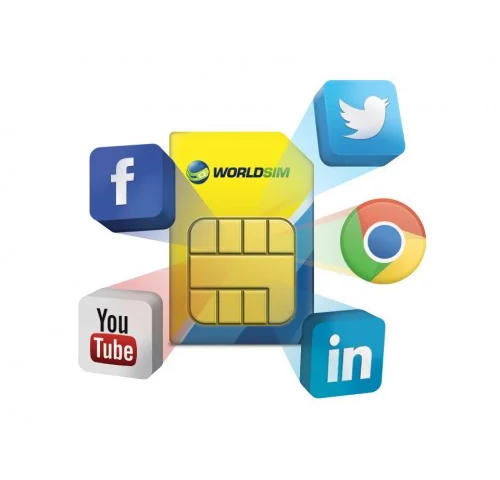 The WorldSIM data SIM that is included with the Pocket WiFi can reduce your data roaming charges by as much as 95% in 188 countries. Battery life is 6 hours with 300 hours standby. 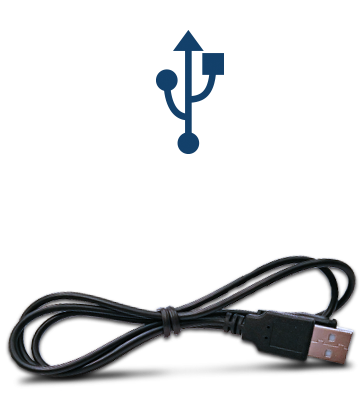 Plug into your device via USB to recharge. The Huawei E5330 WiFi hotspot is unlocked so you can use any SIM inside, however a WorldSIM data SIM is included. 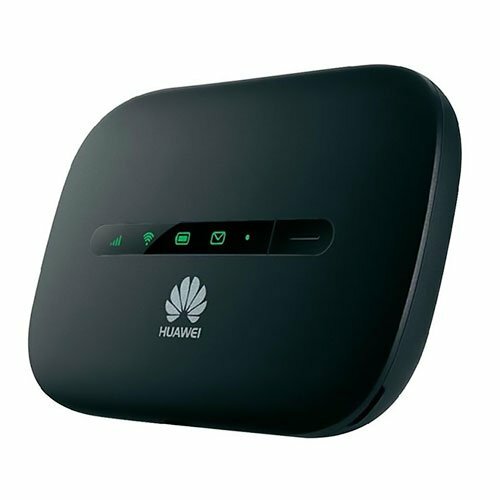 This Huawei E5330 WiFi hotspot is so simple to use, it only has one button so you don’t need to be tech savvy! If at any time you need help, we are available 24 hours a day, simply call us or get help through your WorldSIM online account. The included data SIM card is pre-paid so you can top up as you need , wherever you are. Top ups can be done online, automatically or over the phone.